REDMOND, Wash. (Dec. 10, 2014) — MediaAlpha, the emerging leader in performance-based digital advertising technology, today announced that its Chief Technology Officer Eugene Nonko was selected as an award winner in the category of Start-Up Technology Leadership by The Puget Sound Business Journal. The program honors top executives who have leveraged technology to innovate and capture a competitive advantage for their company, customers, partners and region. Nonko planned and built the MediaAlpha Exchange, the insurance industry’s first real-time advertising exchange focused on high value, vertical-specific media. Advertisers utilize best-in-class targeting, analytics, and optimization capabilities to maximize their ROI from click, call, and lead media purchased across all sources. The Exchange has directly helped to grow the profitability of many large advertisers and publishers. 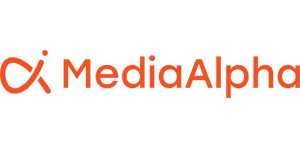 MediaAlpha is an emerging leader in performance-based digital advertising technology, reshaping how performance media is bought and sold. The company operates the MediaAlpha Exchange, a transparent, RTB-enabled clearinghouse for insurance and other vertical-specific performance media. MediaAlpha is headquartered in Redmond, Washington and has an office in Los Angeles, California.